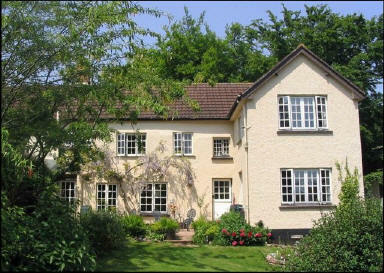 Brambles Bed and Breakfast - Tiverton - Reviews - Page 10. Fantastic host, delicious breakfast, quaint location and rooms with picturesque views! Highly recommend. My partner and I made a last minute booking and couldn't have been more happy with our choice. When we arrived the host waited for us and greeted us on arrival, he was a pleasure to meet and gave us some great travelling tips. He even asked us what time we'd like our breakfast cooked, which was a nice personal touch. Our room was the Garden Room and it was perfect. Excellent all round B and B. Very clean, comfortable bed, LCD tv, bottled water and a tray with tea and coffee making facilities which came to good use after travelling for nearly 10 hrs. The location was very quiet and picturesque, everything you'd imagine staying in the country. Very cosy. Slept very easily. Would love to stay again and will highly recommend to friends. Thanks again! Good 1 night stay. B&B was in quiet hamlet down narrow country lane. Very peaceful. Pub was less than a mile away for evening meal. Accommodation was clean, good value for money and the owners were very helpful with any queries I had. Really nice place to stay. Quiet and comfortable B&B, excellent breakfast and cheery landlord. Good, clean, well priced and convenient. Pleasant and welcoming. If I am in the Tiverton area again I will book there again. I really enjoyed my stay and it was faultless. The room was very comfortable indeed and had everything that was required. The owner was very friendly and accommodating. If I'm in the Tiverton area I'll be back. Cosy, quiet with on-site parking. Very friendly and welcoming. Room was lovely and warm, bed soft, had a lovely sleep. Great selection of teas, coffee and some bottled water. Great value for money. Thank you.